The researchers drew on a technique they call a 3D-painting process; engineer Ramille Shah said using 3D paints “really open up the ability to print different functional or structural objects to make habitats beyond Earth.” They’ve created a 3D ink and printing method they’ve used to print 3D graphene and hyperelastic “bone.” They made their 3D paints for this project with simple solvents, biopolymer, and the dusts, which are similar to real Martian and lunar dust in terms of composition and particle size and shape. The structures they printed are more than 90 percent dust by weight. The journal Nature Scientific Reports published the research online in late March. Shah and another Northwestern professor, who was not a co-author on this paper, are working together on ways to fire the 3D-painted objects in a furnace to make them harder – more like ceramic. 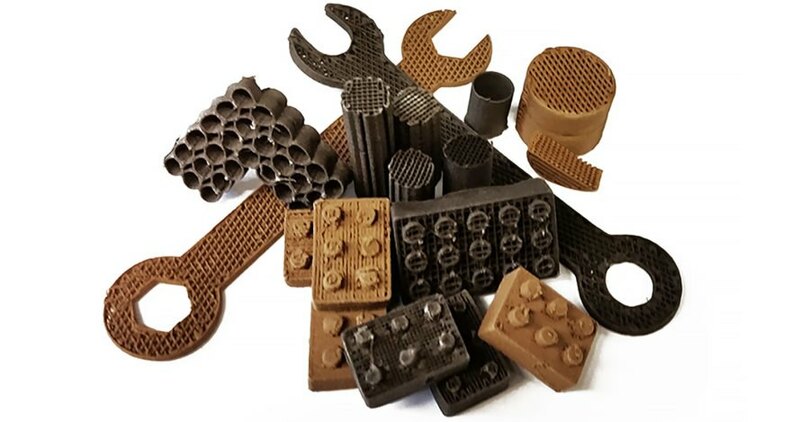 Northwestern University researchers 3D-printed tools and building blocks with Martian dust simulant. Astronauts on Mars might one day use 3D printing to manufacture items. Northwestern's 3D printed tools are flexible and soft, almost like rubber.